Th many writing groups and English literary festivals across the country show that writing is one of those activities that people take up when they come to France and have the opportunity to do things they had always wanted to try but never had the time before. Tarn-et-Garonne’s Parisot Writing Group was started in 2012 and has worked so well that several of its members have won writing competitions and in 2017 two members published books, available on Amazon. Parisot, a small hilltop town, has become somewhat of a literary centre with its French and English library set up by Gina Connolly and the annual, bilingual Festilitt which has welcomed authors such as Tracy Cheval­ier (Girl with a Pearl Earring), the late Helen Dunmore (Zennor in Darkness) and Kate Mosse (Labyrinth). 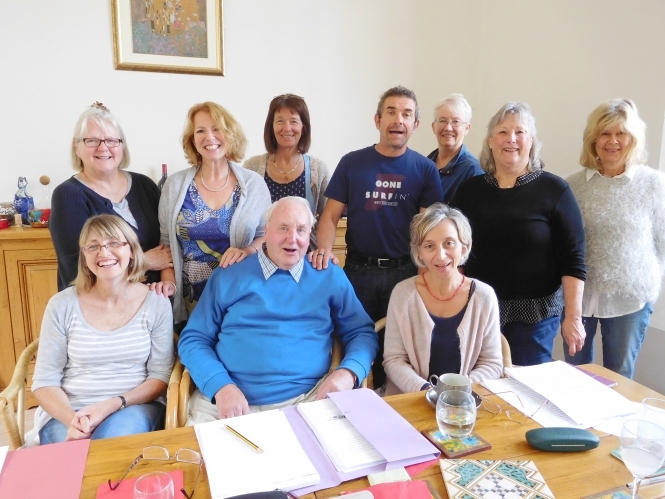 The writing group was started by Anita Goodfellow, who said: “I had been made redundant in the UK and seized the opportunity to do an Open University writing course and when I came to the Tarn-et-Garonne I was desperate to join a writing group. She was surprised by the response and there were soon 10 members. Some had already written, but many were novices: “I love doing it and I am always staggered by the quality of the writing. I did not want it to be a chit-chat social group and so I used my experience from the OU course to set exercises and homework. The group meets about seven times a year, mostly in spring and autumn when members are not so busy, in either the library in Parisot or Mrs Goodfellow’s house, which is, appropriately, a renovated school. When Vanessa Couchman joined in 2012 she was already writing but says the group “was important for the technical aspects of writing” to help her improve her work. She has now published two books, 2014 love story The House at Zaron­za, and autumn 2017’s French Collect­ion: Twelve Short Stories. Mrs Goodfellow says she would encourage anyone to set up a group if there is not one within easy reach of their homes: “Do it, don’t be afraid to give it a go.